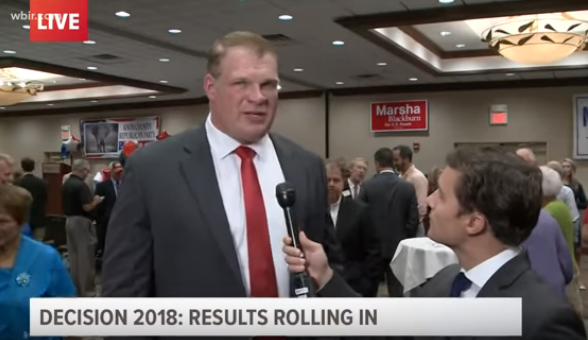 Congratulations are in order for Glenn Jacobs, better known as Kane in the wrestling world. He was just elected the new Mayor of Knox County, Tennessee! Kane ran as a Republican and nabbed 66.39% of the vote, while his opponent, Democrat Linda Haney only received 33.61%. He’s set to take office on September 1st. As far as how this will affect his WWE schedule and commitments, well, it’s not clear. Jacobs’ had cut back on his wrestling schedule during the campaign, and will likely keep a limited schedule with WWE while he’s in office as Mayor.